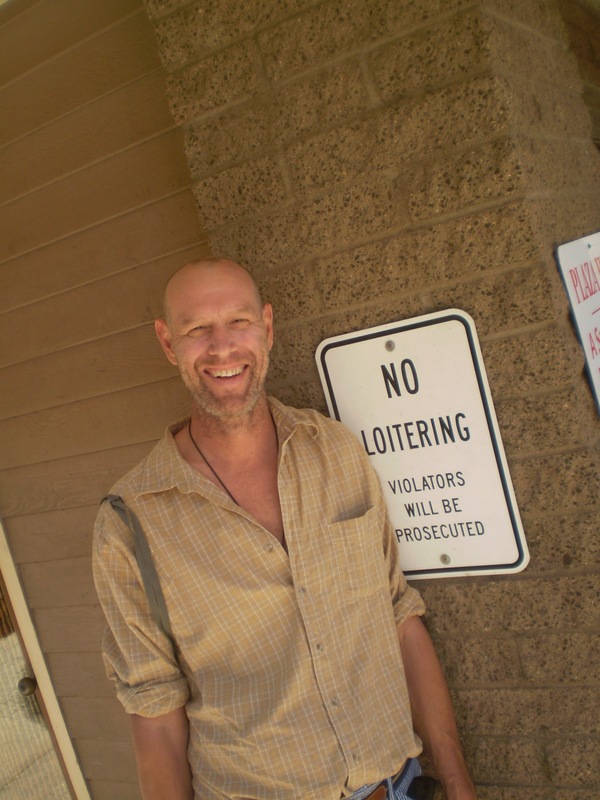 My favorite blogger-in-arms Peter Zimmerman is tall, lean, sun-loving and more than occasionally prickly. 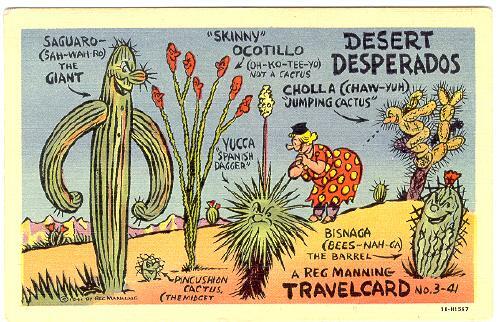 So I knew that when he wanted to write about the saguaro there would be no better perspective on the cactus. Hard to believe [he writes] that it’s been 43 years since I saw my first saguaro. I was twelve years old at the time that the Zimmerman family took a whirlwind trip “out West.” We flew to Colorado Springs and, in a packed rental car, by way of the Grand Canyon, Las Vegas, Yosemite, and Santa Barbara, ended up in L.A., where we took in a Supremes concert at Disneyland! They don’t call it a Cereus giganteus for nothing. 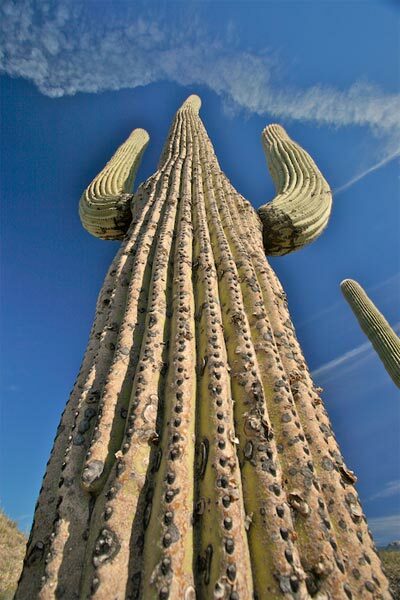 Saguaros can grow as tall as 70 feet. 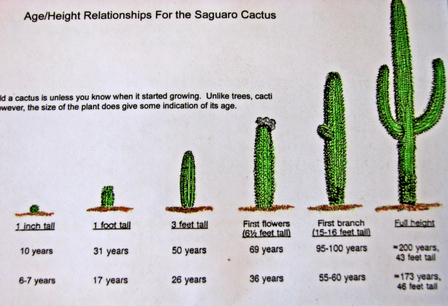 Saguaros have a relatively long life span. They may grow their first side arm at anywhere from 50 to 75 years of age (some lives to be 150 years old), but some never grow one at all. 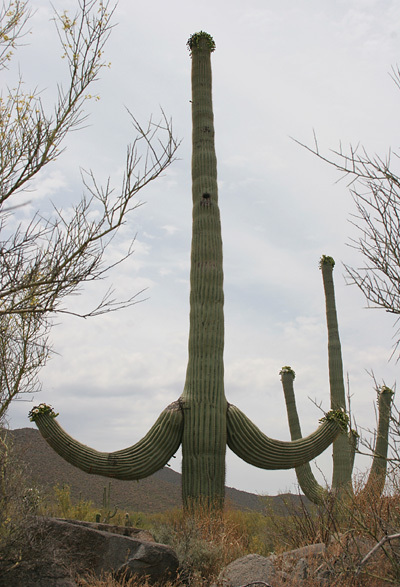 A saguaro without arms is called a spear. 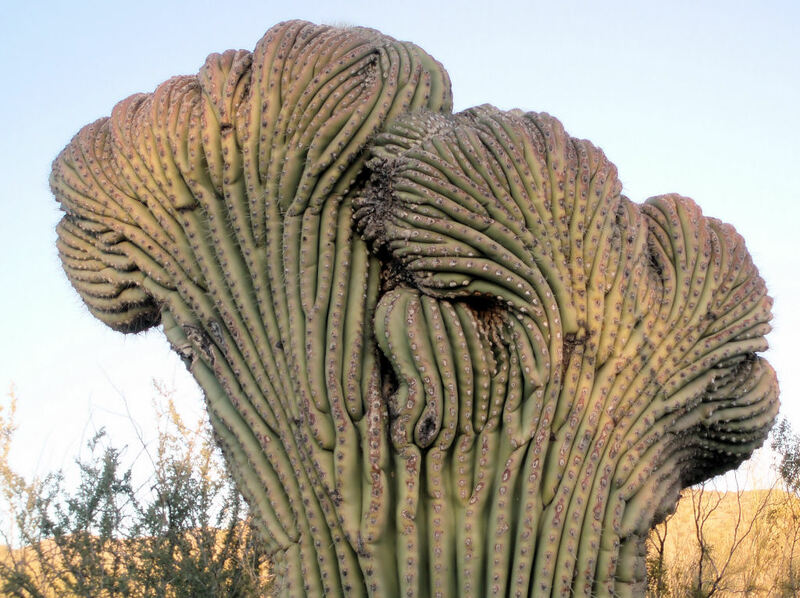 The rare crested saguaro is perhaps the result of a genetic mutation, or lightning, or freezing weather. Scientists don’t know. As a result of their formidable height, it’s very hard to take a picture of a saguaro bloom, located on the top of this stately if comical-looking cactus. Plus they tend to bloom at night. I once spent the better half of an afternoon driving the mountainous loop road at Saguaro National Monument, trying in vain to take a picture of a bloom. Try shooting down on a 30-foot-tall plant. I mean, cereus-ly. But elsewhere, I succeeded! 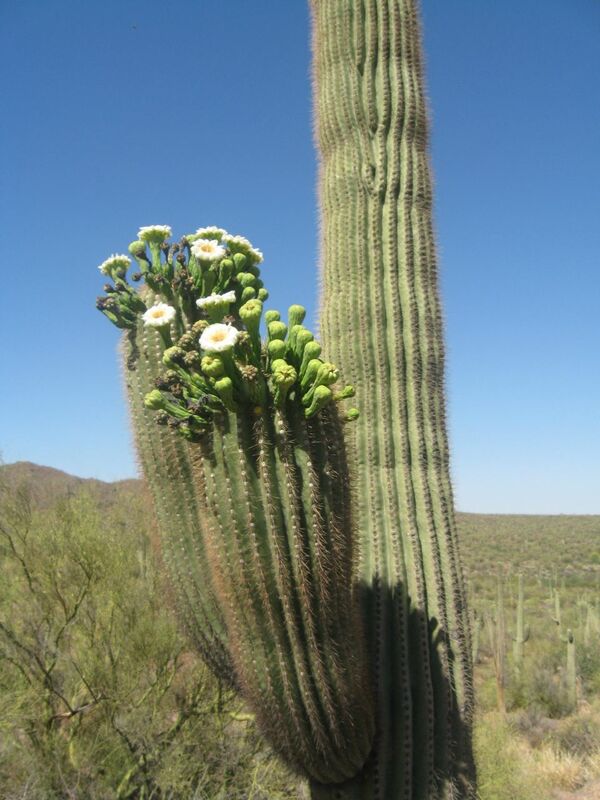 Saguaros are pollinated by bats, primarily the lesser long-nosed variety. 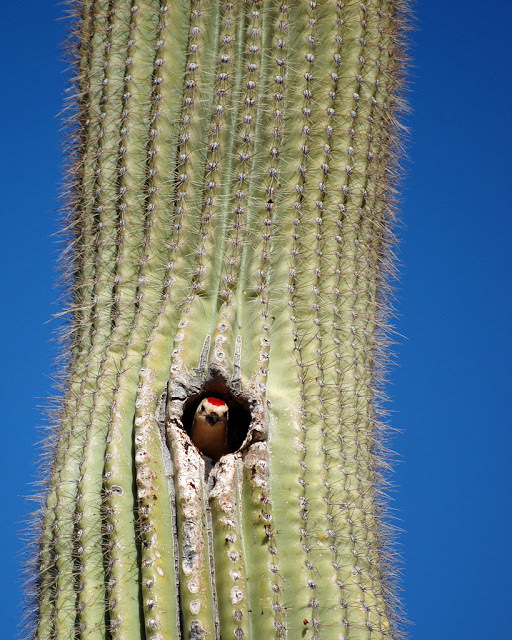 Like other cacti, saguaros are water hoarders. Whenever it rains, they soak up the rainwater. The cactus will visibly expand. It conserves the water and slowly consumes it. 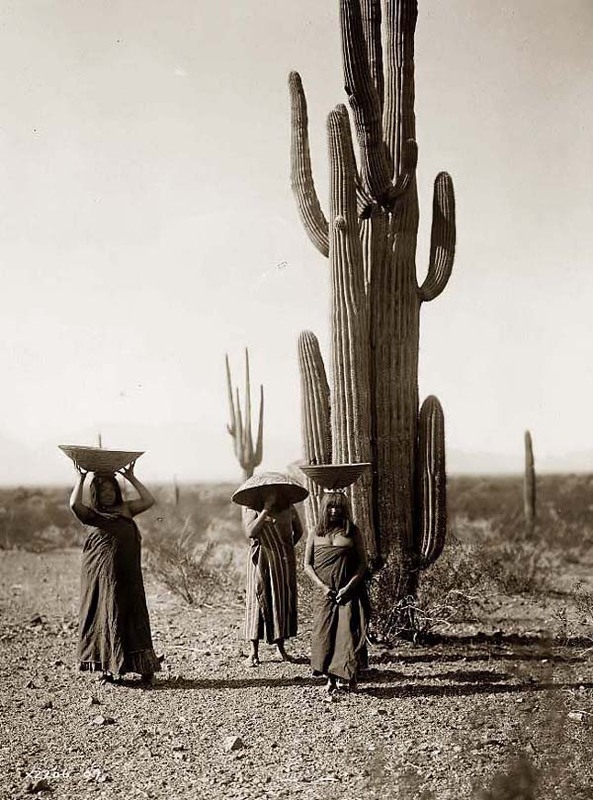 The Tohono O’odham tribes celebrate the beginning of their summer growing season with a ceremony using a fermented drink made from the bright red fruit to summon rains, vital for the crops. They used the ribs — the skeleton — for building houses. 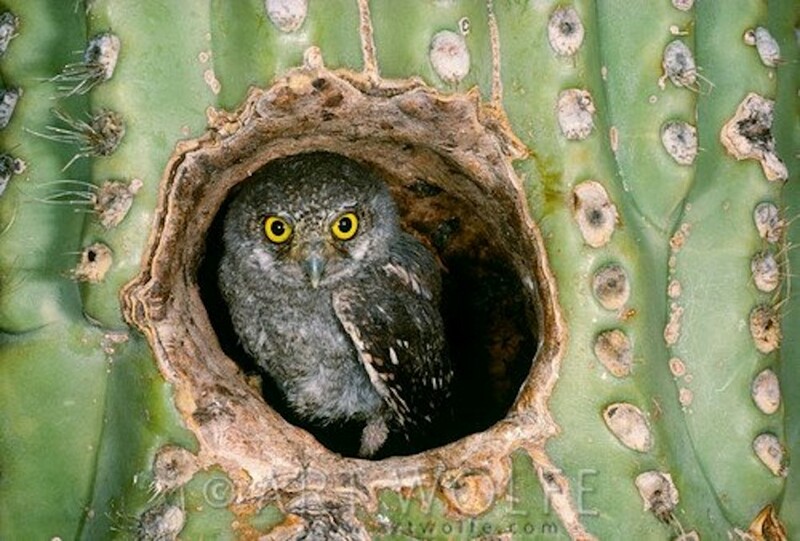 The Seri people of northwestern Mexico used the plant which they call mojépe for a number of purposes.Birds live inside holes in saguaros. The saguaro has appeared in many Westerns, especially at Monument Valley. 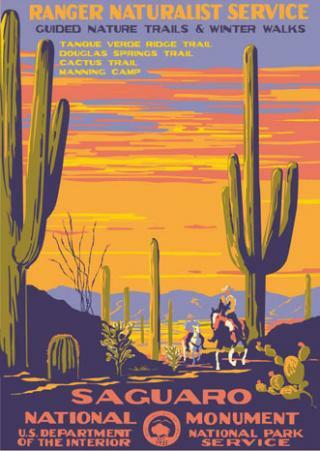 Commercially, the saguaro’s silhouette is found on the label of Old El Paso brand products. 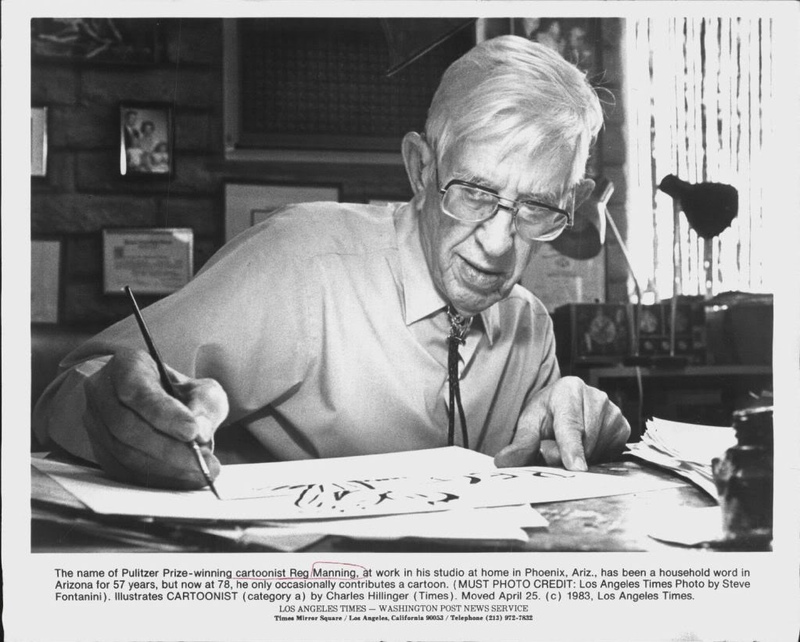 Old-timey cartoonist Reg Manning made his bread and butter drawing pictures of cacti. His most famous book is What Kind of Cactus Izzat? Here in Arizona, a few years ago in December, some brave neighbors strung twinkly Christmas lights all around the huge saguaro in front of their adobe house. Around the neighborhood, other folks put Santa’s hats on top of shorter specimens (perhaps to protect them from frost).